The material appearing in this communication is for informational purposes only and should not be construed as legal, accounting, or tax advice or opinion. Crypto is being treated as property and is therefore subject to capital gains tax. Exchanging crypto which is any exchange including goods, services, other property or money is a taxable event and subject to capital gains tax. This includes exchanging from Bitcoin to Fiat, Bitcoin to Ether, and Bitcoin for coffee. Holding onto crypto is not a taxable event. Similarly, purchasing crypto in Fiat is not taxable. Hard-forks (such as Bitcoin Cash) should be treated as a capital asset with a cost basis of $0. Mining coins is taxed as ordinary income. It would be safe to say that 2017 was the year cryptocurrencies really hit the mainstream. Bitcoin prices are now reported each morning alongside the NASDAQ and the Dow Jones, Ether sees huge daily transaction volume and ICOs, well, that’s another story. How is the IRS treating crypto? The IRS is treating cryptocurrencies like property, therefore it is subject to a certain category of tax called capital gains tax. Taxpayers that have purchased crypto and accrued a loss or gain from their basis over the holding period are subject to paying capital gains tax. While this is substantially similar to the same reporting requirements as stocks or bonds, there is one thing that is different; every single exchange of crypto is a taxable event. If you buy a cup of coffee with Bitcoin, that is a taxable event, if you buy Ether with Ripple, that is a taxable event. I’ve lost you right? For tax purposes, capital gains or losses are calculated by how much your cost basis has gone up or down over your holding period. You buy a house for $100,000 (cost basis) and you sell it (taxable event) for $150,000 a year later (holding period), the house has appreciated in value $50k (capital gains). You would pay capital gains on the $50,000 increase in value. The same is true of crypto. You purchase 1 bitcoin at $10,000, you sell it 1 week later for $12,000, bitcoin has gone up in value by $2,000 and you pay tax on that $2,000 gain. The holding period also affects the amount you pay in capital gains. If an asset is held for one year or less, then sold for a gain, the short-term capital gain will be taxed at one rate. If an asset is held for more than one year, then sold for a gain, the long-term capital gain will be taxed at a different rate. What if I have used crypto to pay for something? As mentioned earlier, in the same way you would sell a cryptocurrency for USD, if you exchange Bitcoin for Ether or vice versa, that is a taxable event and is subject to the same capital gains tax. If you buy a $3,000 kitchen set at Overstock.com using half a bitcoin that you purchased for $150 in Jan 2015, you have realized a capital gains of $2,850. At a 15% long-term capital gains rate, that works out to be a $427.50 tax hit. 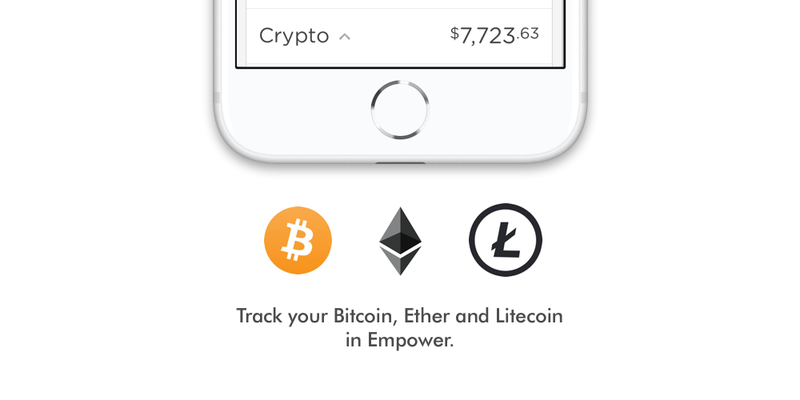 How will I report my crypto activity come tax time? Most exchanges will keep a record of your transaction history which are pretty much what you need from a taxation perspective, but anything outside of these formal exchanges you are responsible for reporting and taking record of. Here’s one thing to be weary of. Buying from one exchange (Exchange A) and transferring to a wallet on another exchange (Exchange B) to sell can create a complex tax consequence. The onus is upon you to know what the cost basis was for the coin at Exchange A as Exchange B will set the cost basis to be the trading price at the time the coin was transferred. You may have bought 1 Bitcoin for $10k at Exchange A, held it for some time and then sent it to a wallet on Exchange B. Over that holding period, Bitcoin went up $1k. Your reporting history on Exchange B may report your cost basis at $11k instead of $10k and as a result you will misreport any loss or gain to the IRS. Are there fees and do I pay taxes on them? There are usually two types of fees you’ll be hit with when transacting in cryptocurrencies. Fees for buying in Fiat currency and fees for exchanging on a particular blockchain network. Both can either become part of your basis or are deducted from the proceeds of your transaction; it’s essentially a deduction from the gains, similar to that of a brokerage fee. What if I have only held onto crypto the past year? If you have not triggered a taxable event, which is any exchange (including goods, services, other property or money), there is no tax to be paid on the appreciation over that holding period. Similarly, moving crypto from one wallet address to another wallet address is not a taxable event. Side note: Buying any coin in Fiat (USD) is not a taxable event. Does cryptocurrency qualify as like-kind property? Under Section 10(31) of the tax code, an exchange of property that is of type “like-kind” does not cause the recognition of gain or loss and is therefore exempt from any capital gains tax. As cryptocurrencies are treated like property, they technically qualify for like-kind status. The problem is that cryptos are a relatively new asset class and we don’t have any direct authority. The IRS is effectively free to disagree if you lodge any crypto as being like-kind in your return. This can potentially yield a filing adjustment as well as penalties if you are not able to produce evidence supporting your argument. Side note: The new Tax Cuts and Jobs Act from Mr. Trump that passed in December will only recognize personal property as being the only property type that is eligible for like-kind status. How will I be taxed on hard-forked coins e.g Bitcoin Cash? People tend to default to treating a hard-fork the same as a stock split. The general advice is a hard-fork is not similar to that of a stock split as it’s a new coin that has essentially been created from nothing. You should treat it as a capital asset with a cost basis of $0. What if I mine crypto? You are taxed as ordinary income. What if I gifted someone some crypto for their birthday? Gifting someone crypto is not considered a taxable event. The gift tax would apply which is a $14,000 limit, per person, per year. This summary was based on a podcast put out by Unchained about crypto and taxes which I found to be superbly resourceful.